Dubai: Dubai Police rescued seven sailors when their ship was stranded in middle of the sea near Palm Deira, an official said. 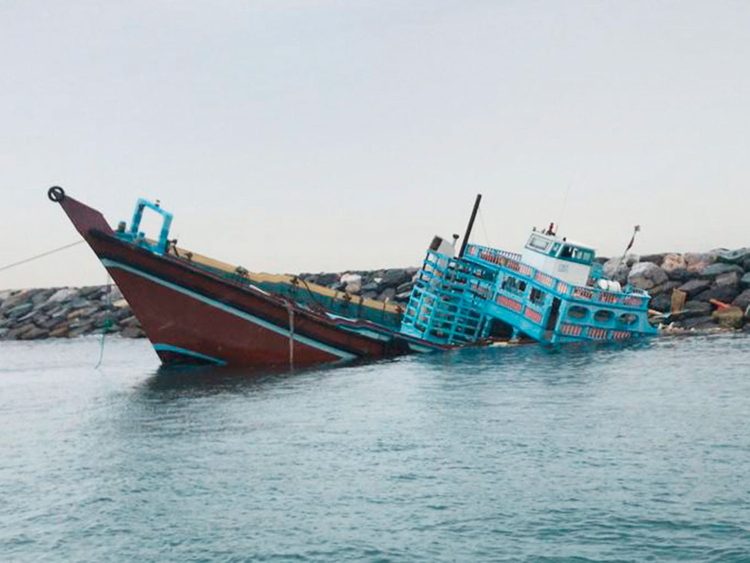 Colonel Saeed Al Madhani, deputy director of Ports police station, said on Sunday night they were alerted that two sailors had fallen into the sea after their ship, stranded near Palm Deira, had problems due to rough sea and strong winds. “Despite the bad weather, rough sea and darkness, we located their place and rescued one sailor who was fighting the waves. The second sailor reached Palm Deira and he was rescued too,” Col Al Madhani said. Sea rescue teams provided first aid to the sailors and transferred the second sailor to the hospital after he broke his leg. Lt Colonel Ali Abdullah Al Naqbi, director of the Sea Rescue Department in Dubai Police, said, “We send two search and rescue boats and identified their place even though it was dark and waves were high up to 7ft. The sailors were on a ship transferring goods and didn’t have GPS to locate their place,” Lt Col Al Naqbi added. Meanwhile, Dubai Police recorded 147 traffic accidents on Monday from 6am till 10am due to the rain, officials said. The Dubai Police Command and Control Unit logged up to 2,566 emergency calls during the same period. 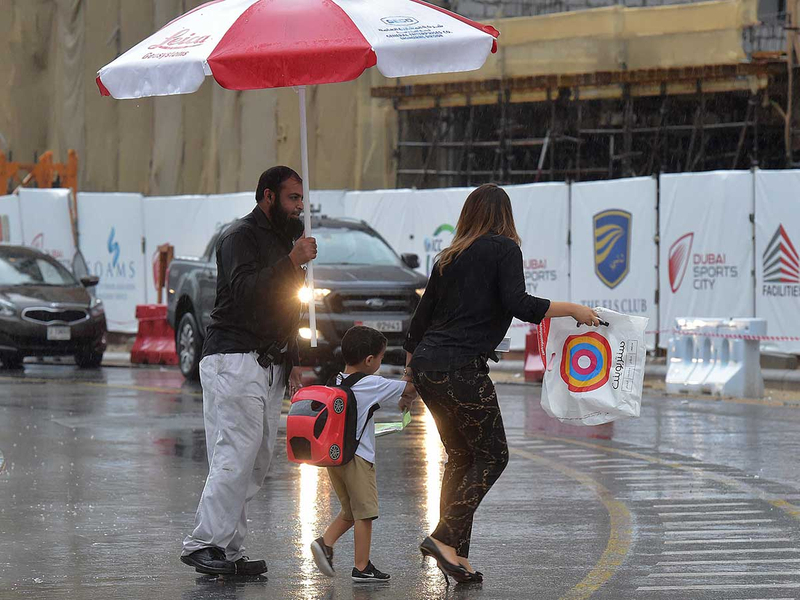 Colonel Mohammad Al Muhairi, deputy director of Command and Control Unit at Dubai Police, urged motorists to be cautious on the roads while driving in rainy conditions. “Motorists should always keep a safe distance between cars and adjust their speed to the weather conditions … allow extra time for your journey and check your planned route. It’s also advisable to slow down as rains make the roads slippery,” Colonel Al Muhairi said. He added that most traffic accidents happened during bad weather conditions due to low visibility. “People must check the weather condition before jumping behind the wheel and they should follow safety instructions and regulations to avoid accidents,” he said.